My Uncle Sri S. A. Rajole, Aunty Smt Saraswati, Ved Vyas and Renuka. But for my Uncle's help I wouldn't have been here in Abu Dhabi. 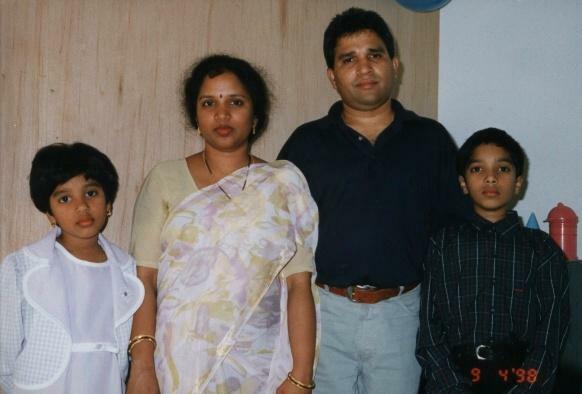 This snap was taken on Renuka's birthday, 1998. Ved has a black belt in Karate and Renuka would be getting one soon.